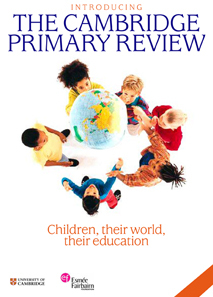 Introducing the Cambridge Primary Review, 42pp, October 2009, ISBN 978-1-906478-9. Edited by Diane Hofkins and Stephanie Northen. Copies have been widely circulated throughout the UK, including to all schools, local authorities and teacher training providers.